There are many things that design has wormed its way into. Once design starts, there is no stopping the innovation and craziness that stems from our brains. Some people take design to a whole new level to create funky looking sofas that do much more than just provide a place for us to sit. 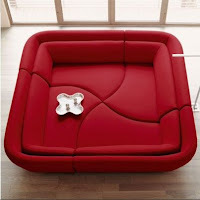 There was a site that popped up in google when I searched for interesting designs labeled "35 of the Most Unique and Creative Sofa Designs". Immediately I clicked upon it after thinking about all the designs that I have seen. 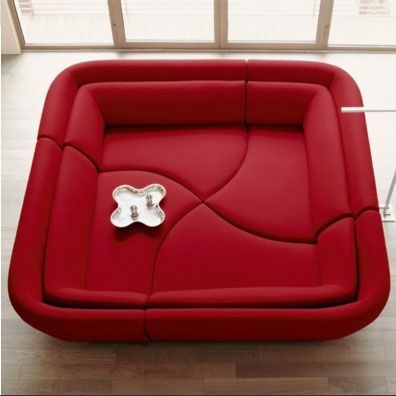 This sofa is titled the "Yang Sofa" and can be used to create many different couches. The couch was designed by Francois Bauchet in four pieces that can be moved around to create different shapes to fit different styles. This speaks out to me because there are so many elements that goes beyond this design then 'just a sofa'. Also, it ties into an important aspect that we have been so very fond of in class. As Housefield borrowed from another lecturer, designers' greatest designs often comes out during play. What more can we ask this sofa to do than to ask us to play with it and design these four pieces into something that will fit our needs? Nothing. When we take apart Bauchet's sofa and put it back together into another shape to form a sectional, single seat, or other variations, we can only be doing one thing: playing with design. Now here is another interesting design to tie back to class. 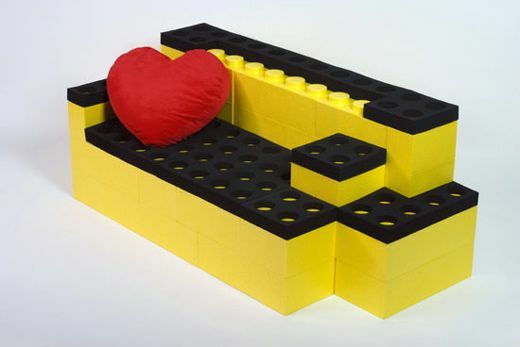 Remember that one day when we were asked to sketch legos in class? Well, it has come back to haunt us. Building blocks, the essentials to any creation are taken quite literally as Thierry Nahon and Philippe Landecker created this reconstructable couch dubbed 'LunaBlocks'. We are yet again asked by another designer to play with what we buy to create a couch that can be completely modified to fit our surroundings. Design that asks us to play is a good design by me. We should just drop everything we're doing now and get out and play; after all, our best designs should come during play. My First Encounter with Design.. Copyright © Snapshot Designer. All rights reserved.